Our best defense to combat on-going threats to your personal information is you. Online security awareness training needs to be completed by all K-State faculty, staff and student employees by December 31. If you have not completed the training, you will receive an invitation in your email. You will have to sign in with your eID and password. The training introduces basic computer security concepts and good security practices and takes approximately 20 minutes to complete. Once you complete the training, your personnel record in HRIS will be updated. 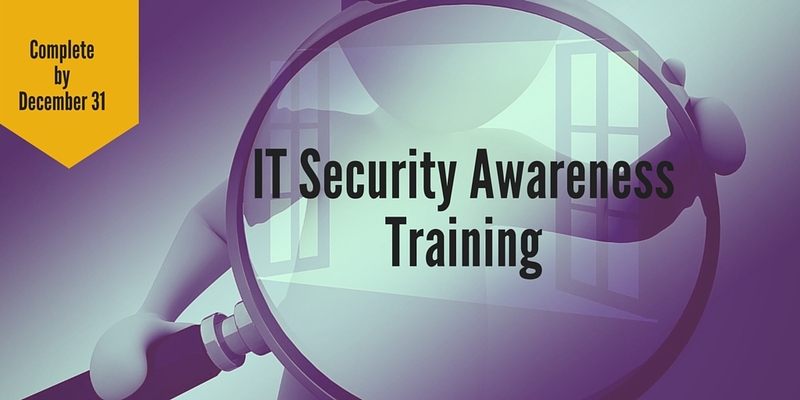 It will be listed under the Training Summary as IT Security Awareness (2016), with the course code WIT017. For questions about your training record, please contact Samantha Roberts in Human Capital Services-Learning and Development at learning-develop-hr@ksu.edu or 532-1920. If you have questions about the security awareness training, contact the IT Help Desk at helpdesk@k-state.edu or 532-7722.